Your wedding guests know you put a lot of time into planning your wedding; it’s a lot of work. Many will appreciate your stunning venue, your shabby chic design accented with mason jars and chalk boards. But ALL guests – no matter the age or gender – want great food and great fun. Who can help in the area of fun? Your DJ. 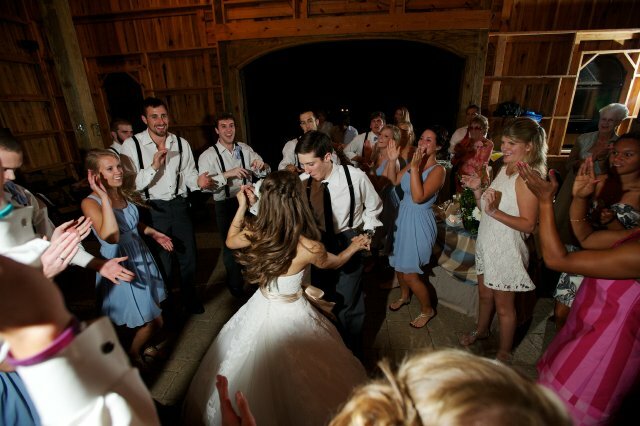 A quality, well picked DJ will set the tone and determine whether your guests get up and dance and mingle. 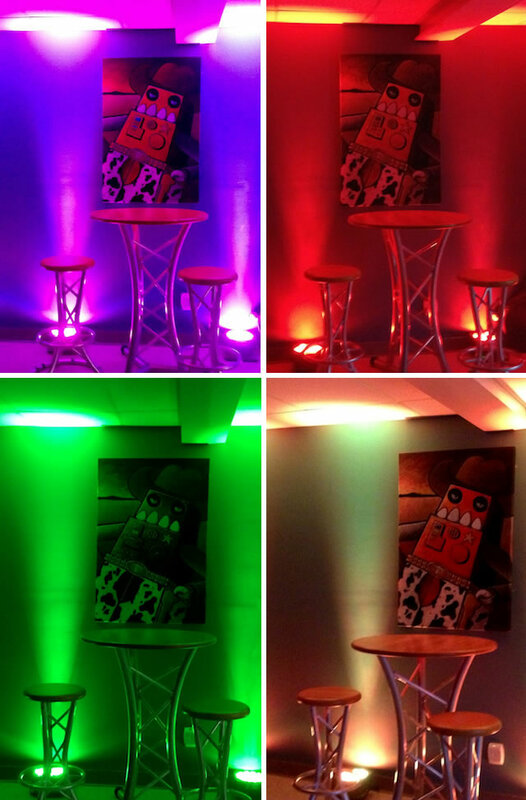 Lighting is an overlooked detail that instantly adds pizzazz to any event. Many budget brides often forego lighting because it just doesn’t fit in their budget. 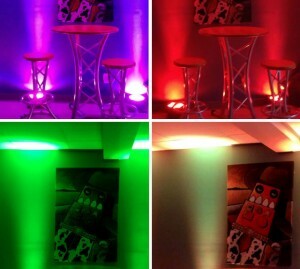 But if you value the impact that lighting has, Cosmo Creations has a new package just for you. 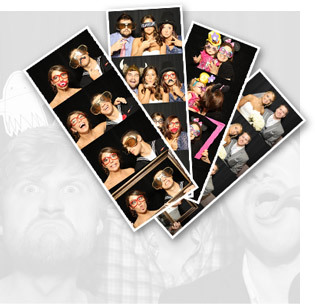 Whether you hire Cosmo Creations as your DJ or for a Photo Booth (which they also offer) is completely up to you. Separately, you can rent their new wireless lighting package which comes with 12 lights in 9 color options for just $300. A few weeks ago, I spoke with Sarah of Regalo Design. She mentioned the important role that a DJ plays in a wedding reception. Without the DJ, there is no flow for the evening, no announcer, and no one to choose just the right song to keep your family and friends on the dance floor. In fact, Sarah once experienced a DJ that literally said “I can’t read” when she handed him the bridal party list of names to announce. Wow! We have had such a great experience with knowing and working with very knowledgable vendors, the best part is that we can take their knowledge and share it with you! We love keeping brides informed! So we went to Brent Cantrell of Cosmo Creations and asked him what questions brides should ask a DJ before booking them, and what questions he is commonly asked. Cosmo Now Offers A New Space & New Wedding Services for You! Cosmo Creations is a premier DJ service that has served brides from Cookeville to Nashville for 10 years. 2011 brought exciting new additions to their company that will benefit Greater-Nashville brides. They have expanded their service offerings, added a new location, and will showcase their new products at an upcoming bridal show. Keep reading for all the details. 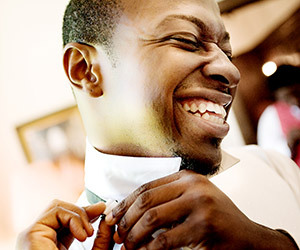 Every detail matters, including the music played at your reception and how your guests interact with your DJ or band. What the DJ selects is ultra important as it determines whether your dream wedding ambiance is achieved. 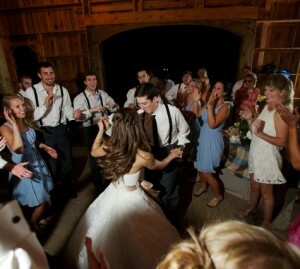 If you are seeking some “fist-pumping” partying, your DJs timing, selections are crucial to keep people on the floor. If you prefer a subdued, sophisticated yet enjoyable evening, you want a DJ that respects your wishes and keeps it lively without imposing.